The U.S. Federal Reserve gets ready for the final monetary policy meeting of the year, and just like last year there is a high probability of a rate hike announcement. The U.S. Federal Reserve will publish the Federal Open Market Committee (FOMC) statement on Wednesday, December 14 at 2:00 pm EST. Fed Chair Janet Yellen will then host a press conference where she will read a prepared statement and open the floor for questions from the financial press at 2:30 pm EST. 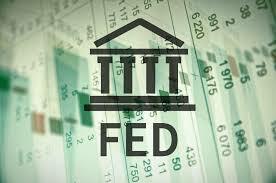 The Fed is expected to raise the benchmark funds rate by 25 basis points. The eyes of the market will be focused on the economic projections from the central bank to get some insights on next year’s policy moves. The Bank of England (BoE) will release the Monetary Policy Summary on Thursday, December 15 at 7:00 am EST. The central bank is expected to keep rates on hold with the majority if not all the votes in favor of keeping rates on hold. There is no press conference scheduled following the publication of the statement but the BoE releases the minutes of the meeting immediately after to offer transparency to markets. The EUR/USD tumbled 1.232 percent in the last week. The single currency is trading at 1.0541 after the ECB surprised markets with a reduction in the QE program, while at the same time extending the deadline until the end of the year and allowing the purchase of bonds with yields below the deposit rate. ECB President Mario Draghi was careful to avoid any comparison of the central bank’s move to be confused with “tapering” as it is slowing down the pace of bond purchases. The EUR depreciated after the announcement and press release and is looking to the Fed to announce a 25 basis point hike to its benchmark rate on December 14. The ECB will face a difficult 2017 as the anti-Union movement across Europe has grown and triggered a surge in political risk. Elections in the Netherlands, France, Germany and Italy will all have a direct impact on the task at hand for the central bank. The ECB has enjoyed the backing of the Union during the worst times of the crisis, but now the European experiment is under threat complicating how fast and conclusive it can respond. The EUR/USD could be heading toward parity if both the Fed and the ECB continue on a divergent path. The Fed underperformed against its own forecast at the beginning of the year as it has yet to deliver a single rate hike. Post election rallies in the U.S. have the dollar gaining traction with the promise of higher inflation as a result of new infrastructure projects that could keep the American central bank raising interest rates to keep up. The Fed will deliver its economic projections on Wednesday and this is where the market will look for guidance into next year. There was plenty of optimism this time last year as the Fed had no way to know of the multiple setback that lay waiting the global economy, this time around after the U.S. itself has opened a can of political risk going into 2017 and a politically charged environment it remains to be seen if they will be more cautious in their predictions. Banks have been forecasting as many as 6 rate hikes if the growth rate and inflation expectations are met, while at the lower end a more conservative 2 could also feature if there are cuts to growth forecasts. The USD/MXN lost 1.351 percent in the last 5 days. The pair is trading at 20.3422 after emerging markets staged a comeback against the USD. Mexican peso prices have been heavily linked to the rhetoric of president-elect Donald Trump. As more and more of his campaign promises get walked backed and reduced by statements or cabinet position appointments the threat of closed borders gets minimized. Mexico exports almost 80 percent of goods to the U.S. as part of the NAFTA deal and a revision, in particular the one hinted at by Trump, could end up reducing that flow. U.S. and other foreign investment could also be affected which is why it is expected that Trump will not go through any decisions that upset corporate agendas, opting instead for more headline grabbing actions like the situation in Ohio with Carrier. The surprise resignation by Banco de Mexico governor Agustin Carstens, who leaves to head the Bank of International Settlements (BIS) in July, has sent shockwaves through the financial system. His seven year tenure at the helm has been instrumental as steward of both the currency and the economy during difficult times. A successor has not been named and anxiety will remain until a worthy candidate is found to follow into Carstens footsteps. The Mexican currency has been used as a proxy for emerging markets in Latin America thanks to its high liquidity. This has been a doubled edged sword as what makes it attractive for investors due to its convertibility can also trigger a quick outflow of funds as the currency becomes decoupled from economic fundamentals. The Mexican economy is the second largest in Latin America, after Brazil, and has been more stable when looking at the economic reality. Yet the Mexican peso has been subjected to high levels of volatility, first as a proxy for other currencies in the area and second as a Trump barometer while on the campaign trail and now as president-elect. The Peso will enter the weekend stronger but looking ahead to a week that will feature the American central bank and the anticipated first interest rate hike.